The California Public Utilities Commission voted unanimously Jan. 11 to approve a plan to close the Diablo Canyon Nuclear Power Plant in 2025 which excludes an $85 million settlement to mitigate economic impacts for San Luis Obispo County communities. Commissioners called it a “landmark” decision, which would provide a framework to end nuclear energy generation in the state. “It moves California away from the era of nuclear power and toward the era of zero-carbon renewable energy,” said Commissioner Liane Randolph. The plan made several adjustments to the proposed decision put forth by administrative law judge Peter Allen in November, allowing Pacific Gas & Electric to raise rates on customers to pay for employee retraining, retention and severance programs. The utility was granted $11.3 million to retrain employees for other positions at the company and $168 million for severance programs. The commission also reversed its position on an employee retention program but brought PG&E’s request down to $211.3 million for a 15 percent retention bonus. After months of negotiations with PG&E, though, stakeholders were not able to persuade the commission to honor the $85 million settlement. The agreement would have provided SLO County, several cities and a school district $75 million for essential services and $10 million for economic development, but was denied on the grounds that it would force ratepayers to make up for lost property tax revenues. 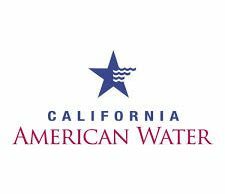 The action could set the stage for further negotiation between stakeholders and PG&E or even legislative action to resolve the impasse. “The question before this commission is not whether there will be impacts or even the potential size and scope of those impacts but rather whether PG&E ratepayers should be paying to mitigate those impacts,” said commission President Michael Picker. He later added that, “The commission’s authority is broad but there’s no clear directive here from the legislature,” to approve the ratepayer funding. Commissioners each expressed sympathy for the neighboring communities at the loss of tax revenues and high-paying jobs. “Diablo has been a major presence in the community for a long time. Its closure is going to have major impacts,” said Commissioner Clifford Rechtschaffen. All told, PG&E was awarded more than $390 million, twice what the November proposed decision allocated, but less than a quarter of the initial $1.76 billion in decommissioning costs the joint proposal sought to recoup through rate increases. The commission also bowed to requests from anti-nuclear energy advocates that the plan include language allowing PG&E the option to close the plant earlier than outlined in the joint proposal. 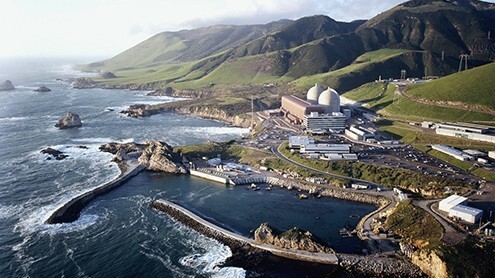 “The future is always uncertain, but as we gain a clearer picture of Diablo Canyon’s operating costs and as PG&E’s bundled load destabilizes, we may find that an earlier retirement is warranted, so PG&E should be prepared to present alternative scenarios assuming retirement dates that could occur earlier in 2020 or 2022,” Picker said. PG&E said in a statement Jan. 11 that it was disappointed that the full employee retention program, which it had been estimated to cost some $352 million, was not funded, but expressed appreciation for the changes to Allen’s decision. about the decision, our next steps and the path forward,” the company said. The decision also mandated PG&E participate in an integrated resource planning process to source replacement energy. “There’s no retreat from our strong commitment to moving forward with our (greenhouse gas) reduction goals,” and the IRP process is becoming “the central vehicle” for the commission to achieve those goals, Rechtschaffen said. Early modeling results from the IRP proceeding show that the retirement of Diablo Canyon will not impact the state’s ability to meet its GHG reduction or energy production targets, Randolph said, although there is some possibility of a small initial bump in the use of natural gas during times of peak load until more renewables come on the grid. “We don’t have a blueprint in this state for what do we do when we close large infrastructure projects that are no longer useful as we’re transitioning to a new decarbonized economy,” Rechstchaffen said. “We issued a decision that is something that we really feel good about and, hopefully, will be a blueprint as we move forward.